There’s something cool about games consoles that never dies. Compare our attitude of the N64 to the context of mobile phones – you wouldn’t lust over an old Motorola; so it’s strange to think that despite the fact that there are PlayStation and Xbox games out there that play graphics as close to real life as you can possibly get, some people would still prefer to bash around on the N64. So before you spend the next week and a half racing through every level on Mario 64, we thought we’d give you some background info on this famously retro machine. Considering there’s kids and young adults born well into the noughties now hankering after this awesome throwback console, it’s crazy to think that it first came out in 1996. 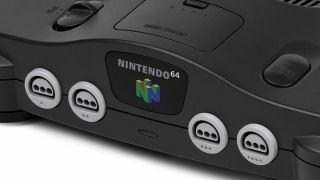 The N64 was released to rival the 3D gaming capabilities of the PlayStation and other competitive consoles, but Nintendo still insisted on using the old cartridge storage format. This meant N64 games didn’t have the capacity to be as graphically advanced as games that were stored on CD ROMs, and didn’t typically contain video cut scenes. For gamers, though, this didn’t matter, as it meant N64 games were quicker to load, faster to run and generally had a smoother texture. The Legend of Zelda Ocarina of Time became one of the most influential games of the period because it paved the way for many popular 3D gameplay features, while Mario 64 became one of the biggest household names around, and earned its place as Nintendo’s best-selling N64 game. Nintendo did a good (and bad) job of catering to the N64 gaming market, releasing the likes of Mario 64 for that addictive levelling up platform series, to Pokémon Stadium to take advantage of the console’s 4 player ability and to link the N64 to other Nintendo devices, like the Gameboy. Then there’s Golden Eye, for the shooters and Star Wars for well… Star Wars fans. The other side to the story is not many third party games developers wanted to put the extra time, effort and expense into making cartridge games, so it was mostly Nintendo’s responsibility to develop games for the console. Despite this, 296 games were made for the N64. Our list features a range of the most popular N64 games still available to buy right now, so you don’t have to buy all 296 to discover best. Shopping for a Nintendo addict? Check out Games Radar's guide to gifts for Nintendo gamers. If you love the freedom of a free-roaming map, you’ll love The Legend of Zelda Ocarina of Time. While modern free-roaming games such as Assassin’s Creed tend to follow a quest approach to gameplay, this old timer will lead you through a series of puzzles and battles as you complete the intricate storyline. This game won a whole host of awards, including six honours at the 2nd Annual Interactive Achievement Awards, and for once, reviewers at the time didn’t have much of a bad word against it, so we’re sure you’ll enjoy it too. This game cleverly combines the classic platform format with a map so the gamer can work their way through various worlds, completing tasks, puzzles and meeting various characters. A lot of the challenges are platform-based, while some, classically, involve beating the boss. The aim is to collect stars, and the more stars you collect, the more worlds unlock, so you can run, jump, crawl, swim, climb and kick your way through the map. Not surprisingly, this is the best-selling Nintendo 64 game of all time, and despite what experts call ‘the erratic movement of the camera’, it will not fail to keep you glued to the screen. GoldenEye 007 opened the gates for the likes of Call of Duty to follow, as it opened game developers’ eyes to the full potential of the first person shooter format. Considering it was developed by an inexperienced team, it was very well received, thanks to its quality graphics and the complexity of the design (by 1997 standards). The game consists of 3D free-roaming levels which draw upon the film script, and they all come with different objectives. You can collect weapons as you work your way through the levels, with each one offering different power ups. You can also have your mates over with this one, with up to 4 players being able to compete in a split screen deathmatch. If you’re a fan of first person shooters, you’ll love this highly successful N64 game, which was developed by the same guys that produced GoldenEye 007. They drew upon their successes and advanced them further, so the game features better graphics, widescreen support and other game play modes. Work your way through the missions in the game and collect weapons as you go. It’s good to know that missions can be completed in three different levels, which deter the kind of operations you’re up against – great if you’re new to gaming and want to get a grip on things. If you like the platform format, you’ll probably like this lighthearted game. It features nine levels where the player has to complete puzzles, challenges and beat computer controlled components while collecting musical notes and jigsaw pieces to unlock more levels. Critics called it almost Disney-esque with animated animal characters and the good versus bad storyline. They also applauded the graphics and effects, which are more advanced than Mario 64. You could definitely catch your kids onto the craze with this one. Each Nintendo franchise character included in this game has different qualities which may give them an advantage or a weakness against other characters. The aim of the game is knock your opponent off a stage, with various weapons and power-ups available to both inflict damage and regain health. Each stage has a theme which is taken from one of the franchises, with each one offering a different experience when it comes to game play. Reviewers at the time noted that it’s definitely a multiplayer game, so it’s a great one for when your mates come over. Play it on your own, and you may not be as excited. View, organise, trade and battle your Pokémon with this awesomely cool game. There’s various different game modes to work your way through, including the completion of the stadium cups, battling against eight Kanto gym leaders and also a selection of mini games. Once all has been complete, you’ll battle Mewtwo, with victory unlocking another stadium with a higher difficulty. If you’re looking for a proper game experience, you’ll need a Game Boy Color and games Pokemon Red, Blue and Yellow, as whatever Pokémon you own on your Game Boy will be transferred over via the N64 Transfer Pak, which is supplied separately. If you like fast paced dodging games, Star Fox could be a hit for you. It’s a game that takes place in ‘corridor mode’, so it’s totally different to the free-roaming games we featured earlier. You play as the character Star Fox, and control his vehicle which can only travel forwards. You can dodge enemy fire by performing a barrel roll for side to side movement… and game play can only slow down, not stop. As we’ve mentioned, this game itself is deemed by some as one of the best ever made, and is acclaimed for its smooth animation, detailed visuals and characterisation of voices. You can play multiplayer, too, with three different game modes to choose from –surprisingly varied. It you’re a Star Wars fan, you’d be rude not to take a look at this game, which has had a whole side story invented for it. Rather than being first person shooter, the view is in third person, which makes game play more open and gives the character more variation in action, even if it’s just having the option to hop into a vehicle or endure an entire 360 space battle. The consensus is the guys behind the game may have attempted too much with it, as game play, according to some, is a little clunky compared to some of the first person shooters out at the time. If you wanna get involved in an additional Star Wars story, though, it’s probably worth a play. Mario Kart is still popular now, which goes to show how much of a successful concept this game is. If you’re competitive, it really is the one to go for, as you can race against your mates on a variety of tracks, which each come with their own features. In addition to Versus mode, you can compete against your mates in Battle mode or play on your own with both the Grand Prix and Time Trial modes. Reviewers say it has one of the best multiplayer experiences out of all the N64 games, but if you’re after a game that you can really sink your teeth into, we wouldn’t recommend it. Great for some light-hearted game time with the kids or for a fun night in; but you won’t be trying to wrap your head around a mission any time soon.